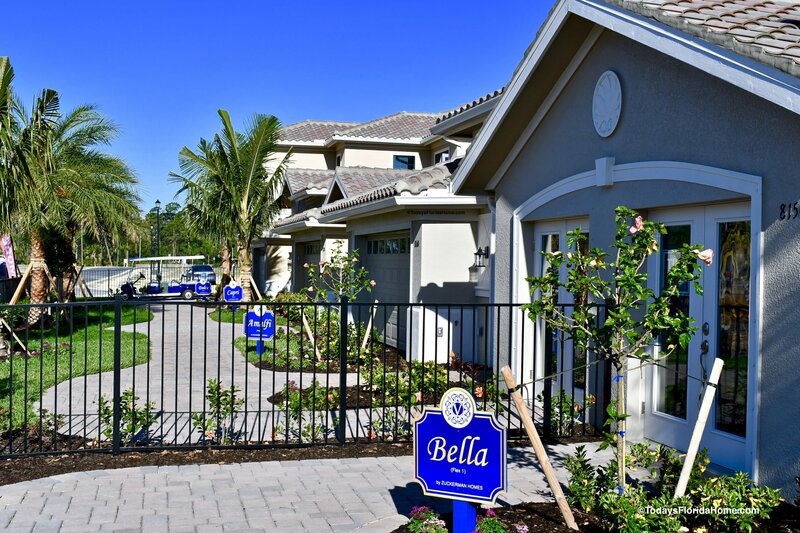 With a premiere location and admirable private luxuries, several options in Southwest Florida new homes are now available within desirable Venetian Pointe. This brand new community in South Fort Myers is under development by DR Horton Southwest Florida and Zuckerman Homes, offering a prime opportunity for new buyers to invest in one of the region’s most exciting and anticipated collections of new homes in Fort Myers. More about Venetian Pointe Homes for Sale. The nearly 50-acre community will eventually house a variety of different single- and two-story floor plans, each of them complimented by the enjoyable features that can only come with a Florida new construction home. With about one-third of the entire community dedicated to lakes and nature preserves, the peaceful community is sure to provide plenty of privacy for its residents, while remaining close enough to enjoy all of the added extras that come with a highly desired, Southwest Florida lifestyle. Visitors and prospective homeowners are welcomed to gated Venetian Pointe by a striking tower, at once setting the scene as a premier, new luxury home community in Fort Myers. The Southwest Florida new homes also enjoy the upscale additions of nearby nature preserves and sparkling lakes, plus pathways that wind throughout the community for added outdoor recreation. Meanwhile, some of the community’s other top amenities include access to the Venetian Club, the social hub of the community. As well, the property additionally offers up access to a resort-style swimming pool for residents to enjoy, plus it’s simply a short distance away from popular Lakes Regional Park, with its many nature trails, playgrounds, plus room for kayaking, canoeing, picnicking and more. When it comes to purchasing a Florida new construction home in Venetian Pointe, you cannot go wrong with two of the region’s premiere builders; Zuckerman Homes and DR Horton Southwest Florida, the homebuilding force behind the community. Together the two homebuilders are bringing a number of new construction homes to the area, located in one of Southwest Florida’s most desirable areas. With nearly a century of quality home construction and generations of past homeowners to its credit, Zuckerman Homes brings its award-winning designs to the new development of Venetian Pointe. The family-owned company is known for involving its new buyers in the design process, ensuring that the finished home plans are customized, and reflective of a buyer’s wants and needs. Already with its homes in some of Florida’s most coveted neighborhoods, Zuckerman Homes is now part of the new Venetian Pointe community, offering up single- and two-story floor plans in the new development, coming in four distinct designs. With Italian-style architecture, the designs from Zuckerman Homes range from around 1,600 square feet to nearly 3,000 square feet of living space. 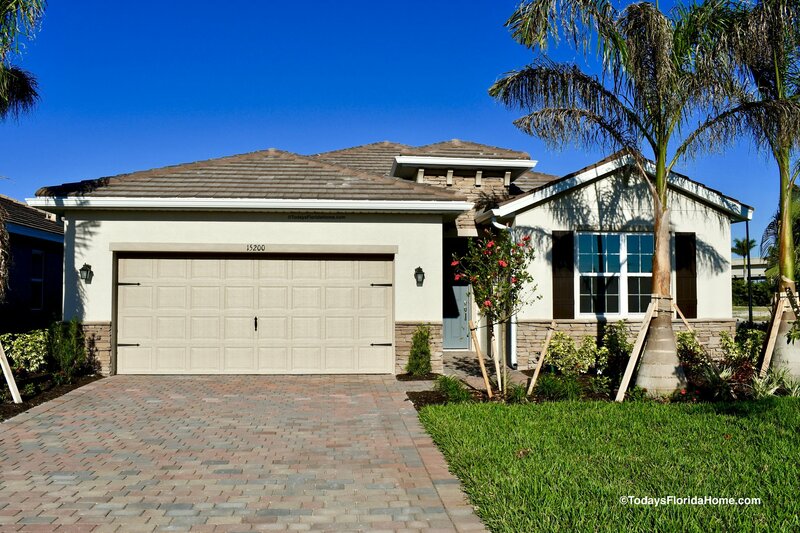 The cozy Amalfi floor plan is a single-story design, with two-bedrooms and up to 2.5-baths. It also includes a study, a two-car garage and around 1,600 square feet of living space, priced from the high $200,000s. In comparison, the Bella floor plan is around 1,800 square feet, also with two-bedrooms and up to 2.5-baths. It additionally includes a study, in a one-story floor plan priced from the low $300,000s. The other largest one-story floor plan from Zuckerman Homes is the Capri. This particular floor plan additionally includes 1,800 square feet, with up to three-bedrooms and up to three-baths, plus a study and a two-car garage. It’s also priced from the low $300,000s. Meanwhile, the two-story floor plan is the Dolce. It includes up to 2,700 square feet of living space, with up to four-bedrooms and up to 3.5-baths. It offers room for an office or a bonus room, plus a two-car garage, priced from the mid $300,000s. All of the villas within Venetian Pointe offer up a large patio and backyard space plus a courtyard entry, for added privacy. As well, the villas include lake or preserve views. Other extras of the villas include the open kitchens with granite countertops and stainless steel appliances. Meanwhile, the other premiere homebuilder of Venetian Pointe is DR Horton. The nation’s largest new homebuilder also offers decades of experience in constructing quality homes across the United States, including those available in Southwest Florida and Venetian Pointe. The company is constructing a number of single-family homes within the community, ranging from around 1,600 to 2,500 square feet of living space. Also coming in both single- and two-story designs, all of the homes of Venetian Pointe from DR Horton enjoy the convenience of a two-car garage. Designs include the 1,600 square foot Avon floor plan, with two-bedrooms and two-baths. This single-story model also offers a study, with room for outdoor living and entertaining, priced from the lower $300,000s. In addition, another possibility is the Clifton floor plan, also with two-bedrooms and two-baths in a single-story design. This home is priced from the low to mid $300,000s. 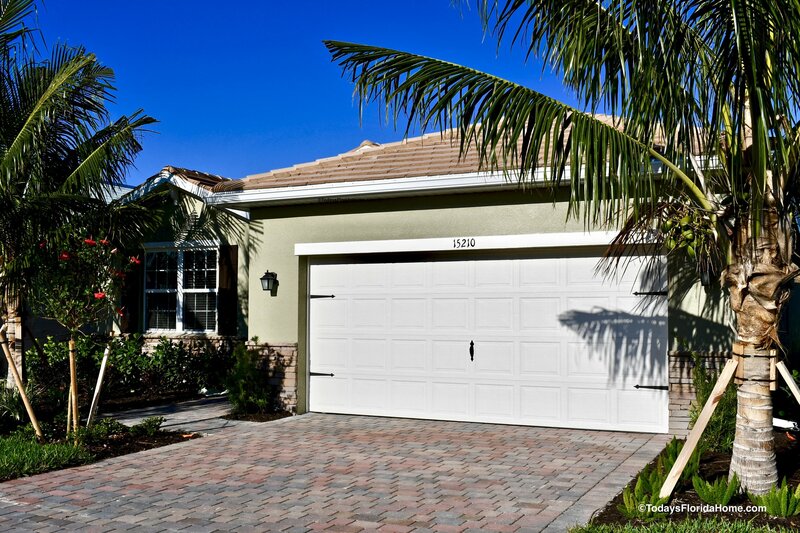 This is on top of the Delray model from DR Horton Southwest Florida, with around 2,000 square feet of living space. Priced from the mid $300,000s, the home offers three-bedrooms and two-baths. As well, the Ashbury floor plan is priced from the upper $300,000s. It includes 2,400 square feet of living space, with three-bedrooms and 3.5-baths. Meanwhile, the largest floor plan from DR Horton within Venetian Pointe is the Bedford. This home provides around 2,500 square feet of living space, with three-bedrooms and 2.5-baths. The only two-story model from DR Horton in the development, this home is priced from the high $300,000s. 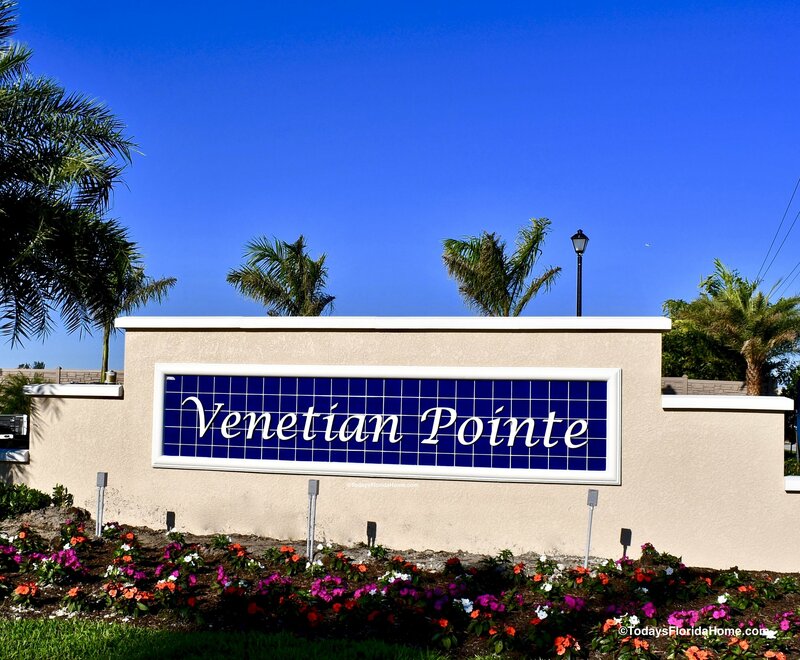 Close to the beaches of Captiva Island and Sanibel islands, as well as Fort Myers Beach, it’s simple to enjoy the best of Southwest Florida living in Venetian Pointe. In addition, the Southwest Florida new homes are located close to I-75, allowing for many shopping and dining opportunities at Coconut Point Mall and the Bell Tower Shops, plus the homes are also not far from local hospitals and medical facilities in the region, such as Lee Memorial. Found at Gladiolus Drive and Summerlin Road, the location also makes it easy to seek out one of the region’s dozens of golf courses, or take in some baseball spring training, all when you purchase one of the many desirable new homes of Fort Myers.